From ‘MasterChef Junior’ to ‘Chopped Teens’, more kids than ever are learning to navigate their way around the kitchen. 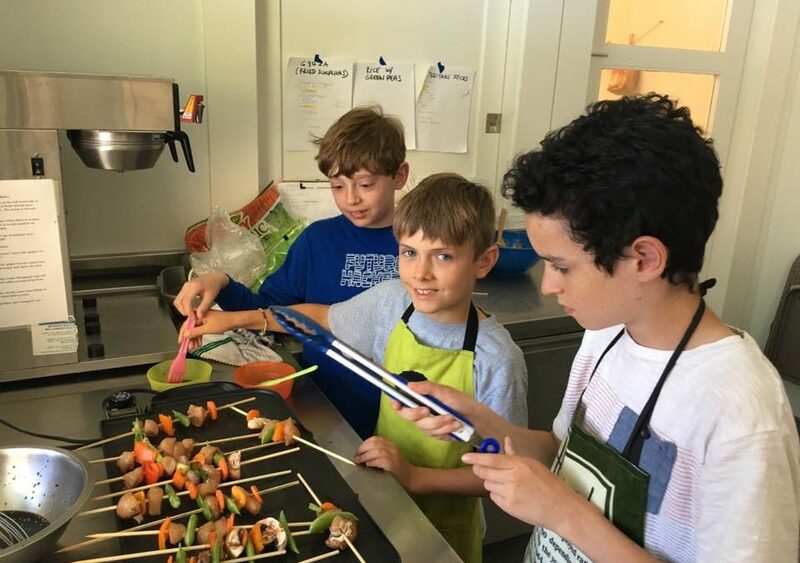 Cooking with kids not only teaches them a valuable life skill, but encourages them to use math and critical thinking skills, gets them trying new foods, and provides plenty of opportunities to talk about making healthy food choices. Here’s a recipe from Stacie Dong and Simran Singh of A Little Yumminess that will get you cooking with kids and getting them to try a few new flavors. By varying the basic theme of “rice with toppings,” you can take your family on a world tour: from New Orleans-style red beans and rice to Japanese donburi, Puerto Rican arroz con gandules (pigeon peas), Hawaiian loco moco, to Korean bibimbap. 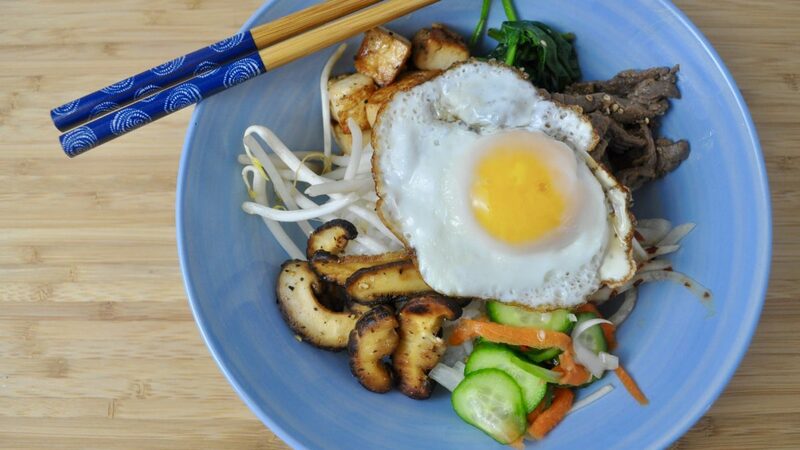 Korean bibimbap, which means ‘mixed rice’, is one of our favorite global rice bowl variations. It’s a feast for the eyes, as well as the taste buds. Traditionally, it combines a variety of fresh and cooked seasoned vegetables, as well as small portions of marinated meat, egg, or tofu (sometimes all three). You can keep things simple by choosing just a few toppings, or go all out with six or seven. In any case, it’s always fun to use bibimbap as an opportunity to try out a new ingredient or flavor alongside more familiar ones. Another reason we love bibimbap is because it’s a great example of the vivid flavor and color combinations you’ll find throughout Korean cuisine. In fact, a guiding principle of Korean cooking is to bring together five colors (red, yellow, white, green and black) and five flavors (sweet, spicy, salty, sour and bitter). Kids will love the chance to go on a culinary scavenger hunt, looking for these colors and flavors in their own unique bowls. Gochujang (Korean chili paste), mixed with soy sauce. Combine all ingredients except for beef, stirring well to dissolve sugar. Slice the beef thinly, against the grain, then toss with marinate and refrigerate for at least 30 minutes. Cover a baking sheet with foil and spray lightly with vegetable oil. Drain excess marinade from beef and lay slices in a single layer on the baking sheet. Broil for 5 minutes or until cooked through.